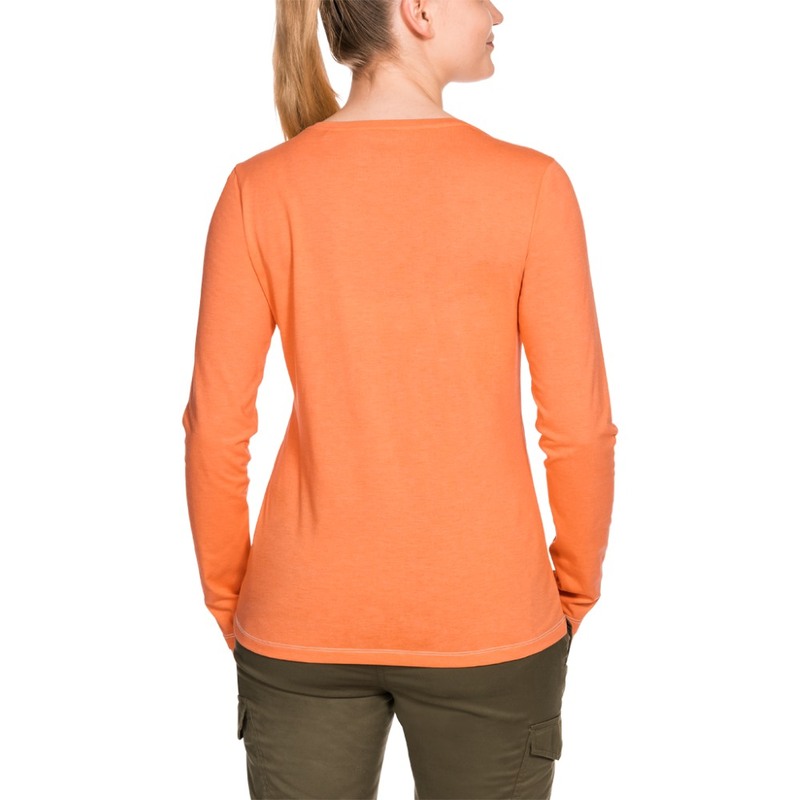 An essential addition to your outdoor wardrobe. 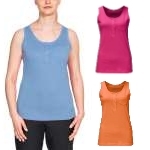 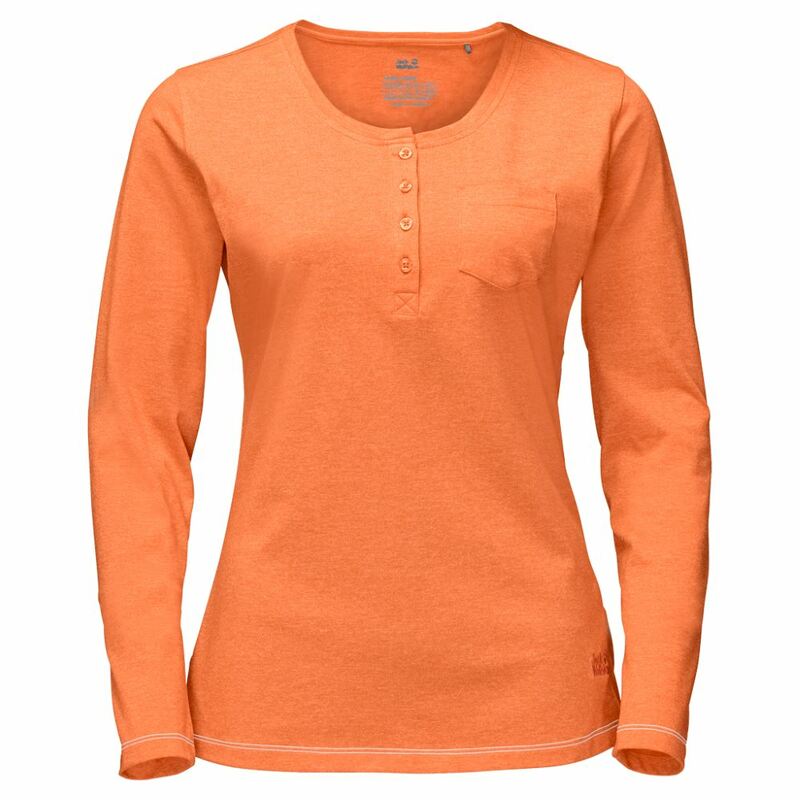 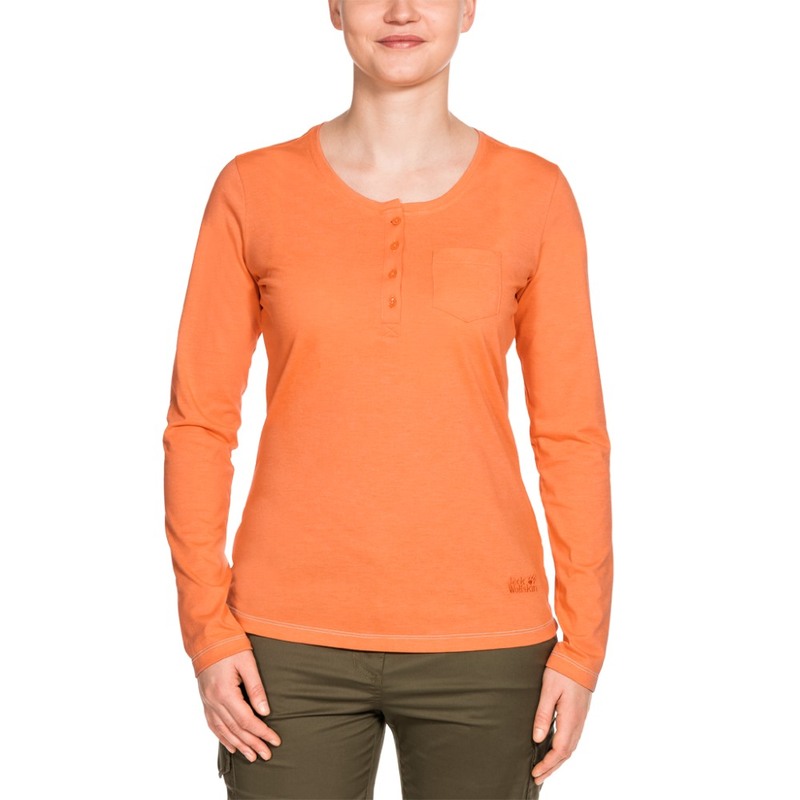 The Jack Wolfskin Women's Essential Longsleeve Top is made of a polycotton fabric with organic cotton. 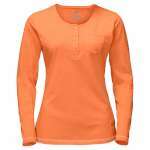 It has a stylish marled look, a button placket and a small chest pocket.